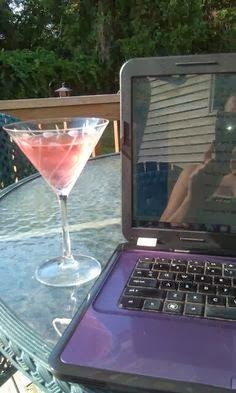 Jennie Bennett, A Writer's Journey: Interview with Theresa Paolo!! 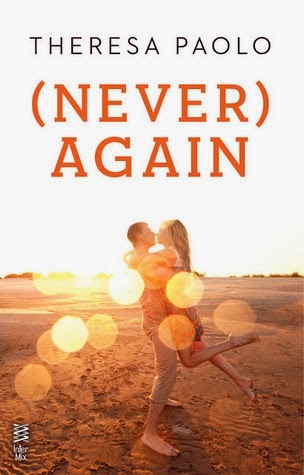 Today I have the privilege of interviewing Theresa Paolo who’s releasing her debut novel (Never) Again today! Happy book birthday! Hello! First I want to say thank you Jennie for having me on your blog! 1. Tell us how you came up with the idea for (Never) Again. How to do this without giving away the whole story? Hmm. In 2007 I was home when a news story came on and I couldn’t turn away. It was something that I couldn’t get off my mind for days. I thought about all the stories I had read/seen that dealt with the situation, but I had never read one about the people on the outside. The people who weren’t there, but knew someone who was. I couldn’t stop wondering what they were going through, knowing something was wrong but not knowing all the details. I wanted to know their story. So that’s when I decided to write (Never) Again. Hope that wasn’t too vague. 2. Care to share a snippet with us? Absolutely! I would love to. "Nothing seemed off. The halls were filled with people, their voices no louder than usual, but as we closed in on my Principles of Writing class, I realized there was someone who didn’t belong. He was taller, his arms bigger, his hair not as messy as I remembered, but those dark brown eyes were exactly the same. He was standing against the wall, his t-shirt hugging biceps that were nonexistent last time I saw him, and he was talking to my friends. Some of the same friends we’d shared before he left. My stomach twisted in knots when over the din of the hallway chaos, I heard his voice. I kept my head up and tried to ignore the fact he was back, but when his head turned towards me, I panicked. Without a single word to either Sadie or Joe, I dove into the girls’ bathroom." Love it! Can't wait to read more! Ryan Gosling or Channing Tatum? Both. Please Seriously both. Real book or eReader? Even though my book is releasing as an e-book I have to go with a real book. There's nothing like holding it in your hand and being able to turn the page. Chocolate or Vanilla? Chocolate! Unless I’m having chocolate cake or a brownie then I want it with vanilla ice cream. This is it, my parents deck. Beautiful! Thanks for coming Theresa! It was a blast! Vague is all right since you don't want to give away the story. Congratulations, Theresa! Nice snippet! I was getting butterflies over the boy against the wall- and all I know is he has muscles and messy hair, lol! I'm all for chocolate, but I have to agree, with brownies or chocolate cake, you need vanilla ice cream. Great interview, ladies! Theresa, I loved your answer about your inspiration! Cool interview:) Is it bad that I had to look up who the heck Ryan and Channing are? Thanks for having me!!! :) !!! And thanks, everyone! Mark just be glad you're not a girl. Talk about teasing galore. Congrats Theresa and I too ran from a guy as a teen like your main character. Such a sad act when you look back but at the time it was just instinct. What an excellent tease! I'm ready to read more! Great interview! I remember hearing about (Never) Again before, and am now even more intrigued, thanks to the teaser and inspiration behind this book! Fun and congrats to Theresa. Missing you on the chat this morning, Jennie. Congrats Theresa. Excellent snippet and I love the cover. I also like that you describe your inspiration without giving away anything. TV can be good. You can get ideas from watching news or other shows. Nice photo. I love it when the weather complies with the writing muse.